Filipino Americans make the third largest Asian community of immigrants from the Philippines. Since their migration to the United States in the 20th century, Filipinos have grabbed attention by virtue of their food culture. The cuisine of the Philippines has gradually made itself felt on the culinary landscape of major North American cities including New York. Evidently, where to get the best Filipino food in New York City is no more a million-dollar question these days. A traditional Filipino menu is a combination of Chinese and Spaniard gastronomic influences with a pinch of Malaysian essence in it. Out of numerous Filipino restaurants across the USA, we at FlyHigh handpicked 10 best Filipino restaurants in New York City based on feedbacks and reviews about them. This is the best Filipino restaurant NYC where you can hang out with friends and enjoy incredible taste of the Philippines. 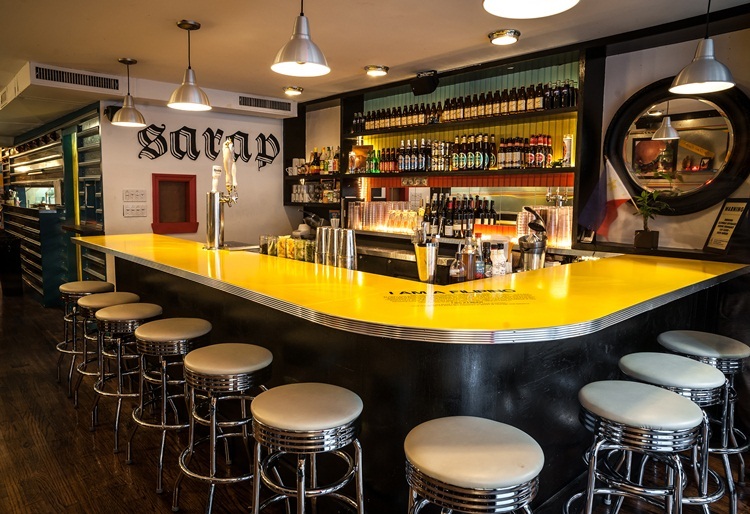 Jeepney in New York hosts communal feasts and serves the best Filipino food on banana leaves on Wednesday as well as Thursday nights. Have longganisa, whole fish, rice cakes and other Filipino dishes in the Kamayan tradition of “eating with your hands.” Reservation in advance is recommended. 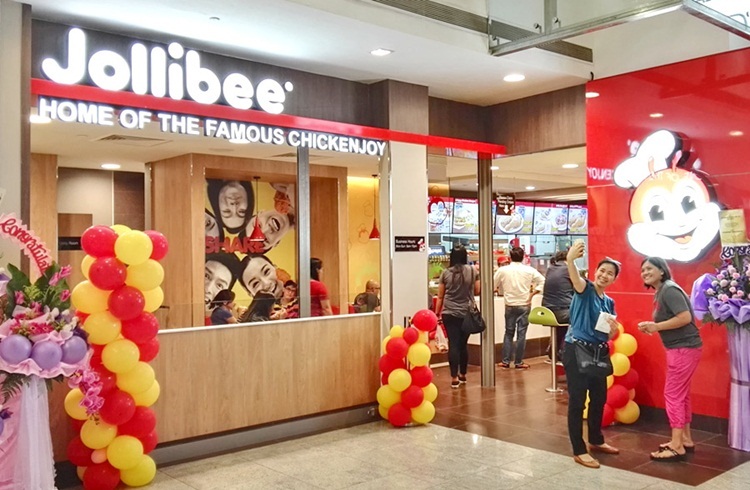 Jollibee not only serves the best Filipino food in New York City but also connects Filipino Americans with their native culture in the US. Needless to say, it is one of the few best places for dining in a homely atmosphere. Filipino Spaghetti with sweeter sauce, hot dogs with cheese topping and chicken drumstick with salty flavor are some of the must-have Filipino dishes at Jollibee in New York. This Filipino restaurant NYC is best known for desserts including classic halo-halo. If you crave home-cooked Filipino food with familiar spices and flavors, do visit Purple Yam in New York. The recipes of some dishes at Purple Yam are influenced by the restaurant owners’ trips to Korea, Malaysia, Bali and France. Undeniably this Filipino restaurant NYC serves both traditional fare and fusion food from the Philippine cuisine with equal finesse. You can taste some lesser-known noodle dishes from the cuisine of the Philippines here. 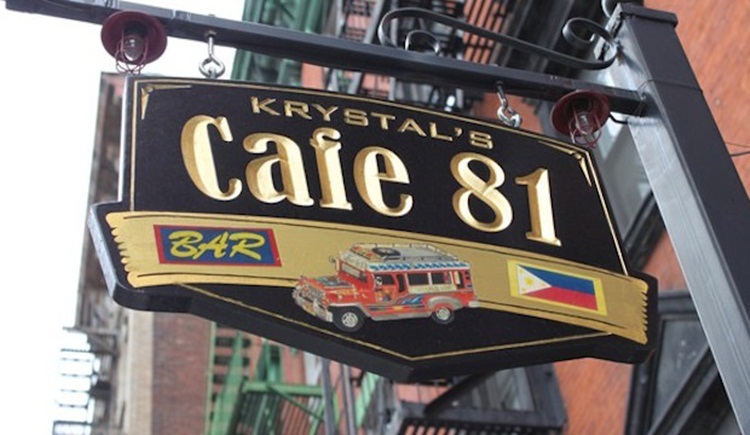 Krystal Café 81 is one of the best Filipino restaurants in New York City where Filipino Americans enjoy authentic Filipino breakfast and beer to their heart’s content. Though located at a stone’s throw from the most popular Maharlika, Krystal Café 81 is frequented by foodies for its home-style Filipino cooking. It serves breakfast throughout the day. Café 81’s breakfast menu includes garlic-fried rice (sinangag), dried beef (tapa), eggs and the main dish (ulam). It is equally famous for serving crispy, succulent pata, a deep-fried pork leg dish, which is sufficient for two persons. 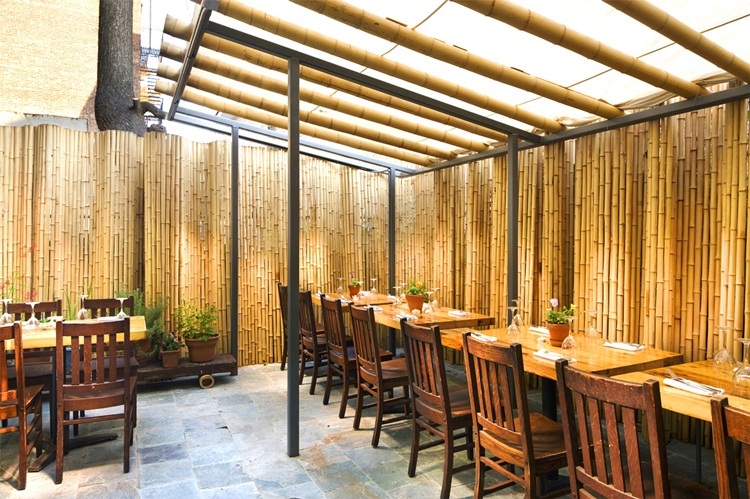 Pig and Khao at Lower East Side is a must stop for the best Filipino food in New York City. The restaurant owner Leah Cohen’s inheritance of Filipino food culture is evident from the menu itself. Her mother was born and brought up in the Philippines, which makes Pig and Khao a favorite of homesick Filipino Americans. From spicy sisig to crunchy pata to chicken insal, Cohen’s restaurant has everything that Filipino expats long for. Maharlika at East Village has got everything from lively interior décor, heart-warming cocktails and delicious food to attentive staff that makes it the best Filipino restaurant NYC. Interestingly, each of the cocktails is named after a Filipino celebrity. You can’t help going gaga over meat heavy dishes with marinated pork shoulder tocino, sweet sausage longganisa, garlic rice and fried eggs. Kare-kare, a stew with peanut butter, and Arroz Caldo, rice porridge with garlic, ginger as well as chicken are other must haves at Maharlika in New York. 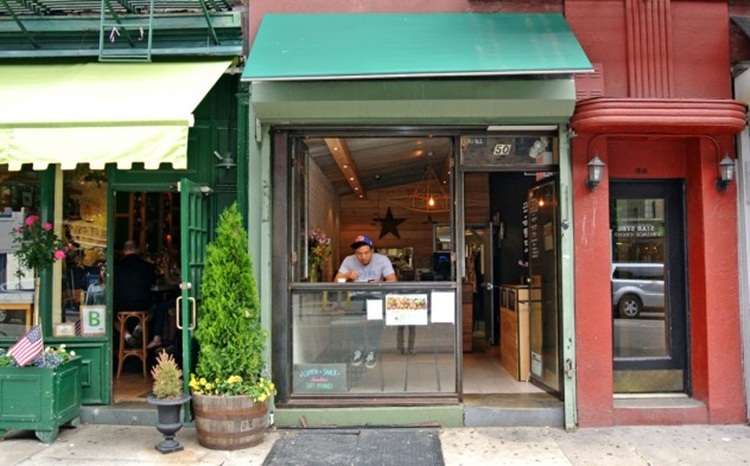 Do make sure to stop by Lumpia Shack while passing by West Village in New York City. Owned and run by King Phojanakong, the restaurant is a cozy dining hub for those having palates for Southeast Asian cuisines including Filipino. It serves a variety of meals in different categories including milkfish rice bowl with calamansi. Among Filipino restaurants in New York City, Lumpia Shack is equally popular with Filipinos and non-Filipinos. Get your taste buds treated to different versions of halo halo with different toppings. 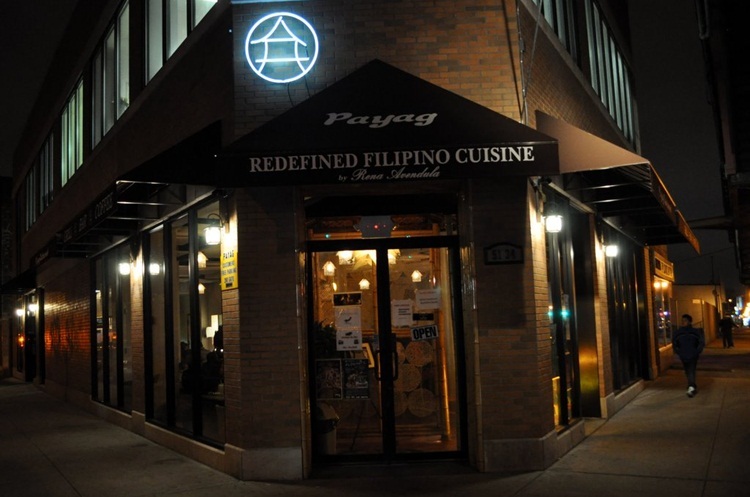 Payag in New York is one of the few Filipino restaurants where both redefined taste of the Philippines and modern dining infrastructure create a magic. Located in Woodside, Queens, Payag houses both private banquets and party halls. There is a bar serving Asian-inspired cocktails in the restaurant. Payag hosts bands and musical programs on Friday and Saturday nights. If you go four doors down from Maharlika, you will stop by Ugly Kitchen, one of the best Filipino restaurants at East Village in New York. Alongside offering a Korean menu, this eatery is known for traditional food of the Philippines. Ugly Kitchen delivers on its promises to serve the most authentic and best food to Filipino Americans in New York City. The menu boasts an array of cocktails with calamansi juice. 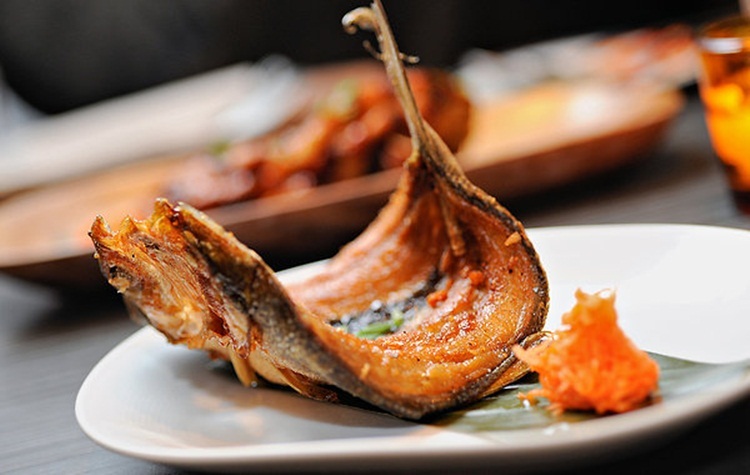 Smoked boneless milkfish is a must try at Ugly Kitchen NYC. 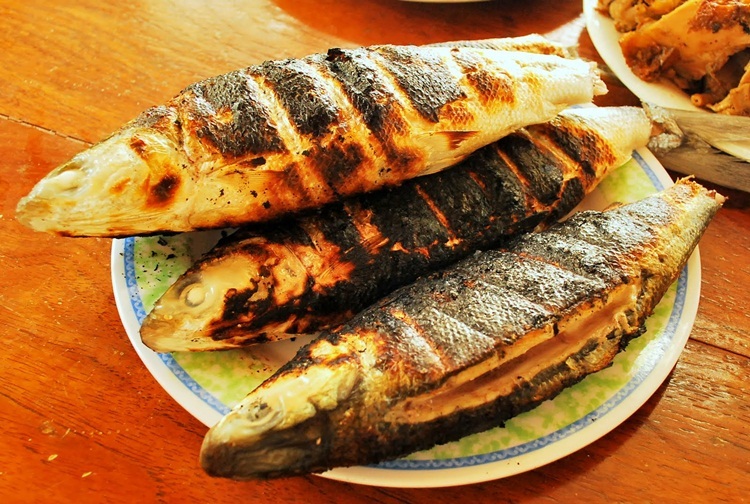 After all, milkfish is the national fish of the Philippines. 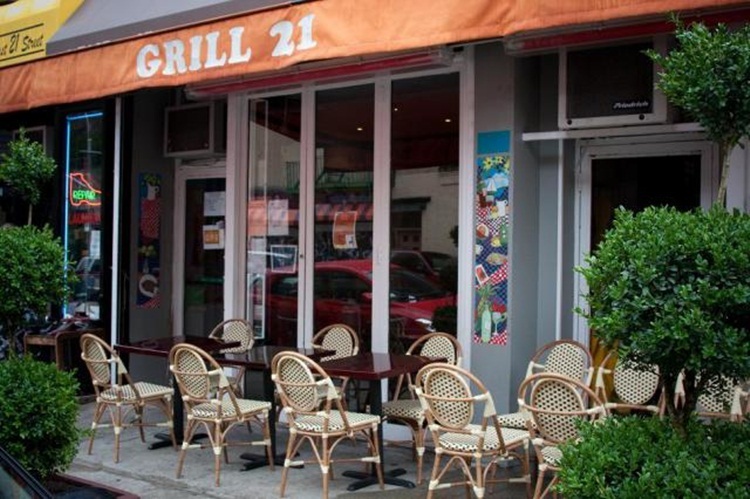 Grill 21 is a favorite of Filipino expats in New York for its ‘Asian Fusion’ food on the menu from the Philippines. With nondescript murals on the walls, the restaurant boasts decent ambience for family dining as well as hangouts. Grill 21 NYC is an ultimate destination for those Filipino Americans who are fond of chicken abodo, a dish of chicken thighs marinated in vinegar, and Sinigang na Baboy, a pucker-worthy sour soup with tamarind. 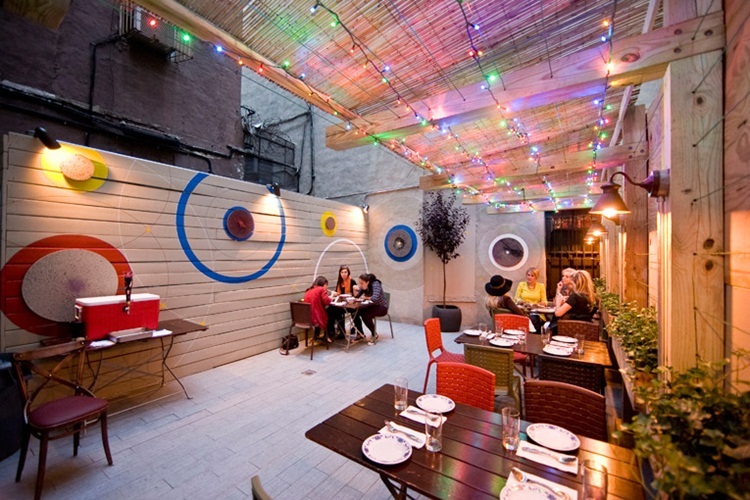 Also popular for offering San Miguel beer from Manila, Grill 21 is the best Filipino restaurant NYC. Travel cheaper to the Philippines from New York and other US cities throughout the year. iEagle Travel books the best flights with the lowest airfares to Manila and Cebu. You need to do your research again. The Jolibees photo is not accurate at all. And why aren’t any major Filipino restaurants from Queens in this article. Staples upon staples of Filipino business rest in queens and you want to make it about the city. If you are a real Filipino New Yorker, you’d do better.